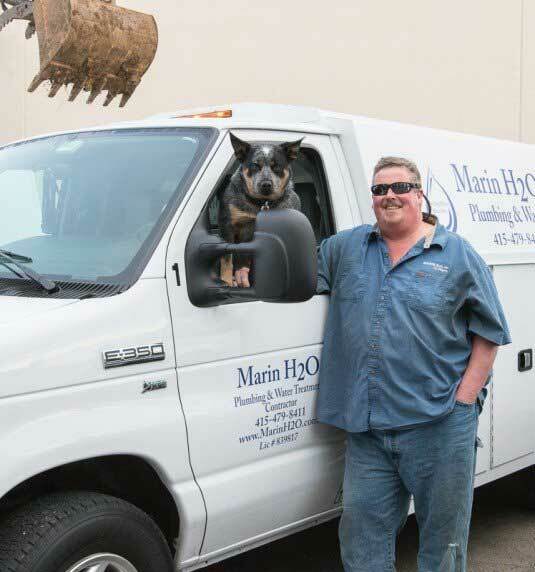 Marin H2O is the premier residential and commercial plumbing contractor in Marin County, California. We are ready to professionally handle your plumbing needs for new construction projects, sewer and pipe repairs, water heaters, and natural gas lines. We also specialize in home and business water treatment systems, including water softeners, whole-house/building water filtration, and drinking water systems. Larger projects that may require excavation and other construction-type activities are no problem for Marin H2O, either. As general engineering and plumbing contractors, we're equipped and experienced to consult for, install, and repair larger sewer, pipe or underground utility issues as well (A and C license holder). Owner Rick Williams takes a no-nonsense approach to his work and his customers. His direct and honest approach to business is evident the moment you meet him, and he works to instill those qualities into his entire team. Ken and Yabo make a great team!